Why in the world is the standoff in Oregon approaching day 12? The original take over of the Malheur National Wildlife Refuge occurred on the evening of January 2nd. The militiamen had been apart of a peaceful protest earlier that day, but separated from the main protest group and went to the Wildlife Refuge. 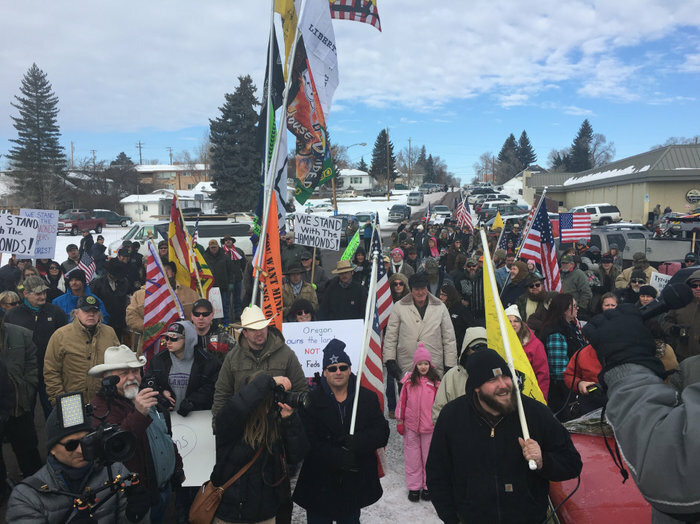 Protests over conviction led to militmen occupying the wildlife refuge on Jan 2. Image Courtesy of npr.com. The protest had been organized in the nearby city of Burns in support of two local men, Steven and Dwight Hammond. These men had been found guilty of arson in 2012, after setting fires on public lands in 2001 and 2006. In 2013, the Hammonds served time in prison and were released after 3 months (Dwight) and 1 year (Steven). In October of 2015, the Hammond cases were reviewed by a federal judge and it was found that the sentences were shorter than the federal minimum mandate of 5 years. The Hammonds were ordered to return to prison to finish out their sentences and were re-arrested. The FBI and local law enforcement officers began to attempt a peaceful end to the armed takeover on January 3rd. But after the men stated that they had no intention of leaving and would “die fighting”. It was decided that the best course of action would be to simply wait them out. Steven and Dwight Hammond reported to a prison in California on the 4th, while still vocalizing their support for the occupation. The wait it out approach probably would have worked better, had the armed militiamen not gone to social media requesting supplies, new recruits, and snacks. Support showed up in the form of the Bundy family. Cliven Bundy and his family had an armed standoff against law enforcement and federal officials in 2014. Bundy owes more than $1 million to the US government for unpaid fees as a result of using public lands to graze his cattle on for decades. Two of Bundy’s sons have gone to Oregon to show support for the group and speak on their behalf publicly. Schools in Burns were canceled for a week due to concerns over the safety of students. A concern which is still a possibility. Sheriff David Ward has reported that his wife’s tires were slashed and his parents had been followed on several occasions. The US Department of Fish and Game was worried for the safety of employees at the refuge, because of personnel files that were kept on site. Ammon Bundy has claimed that no one in the group has access government computers or personnel files. 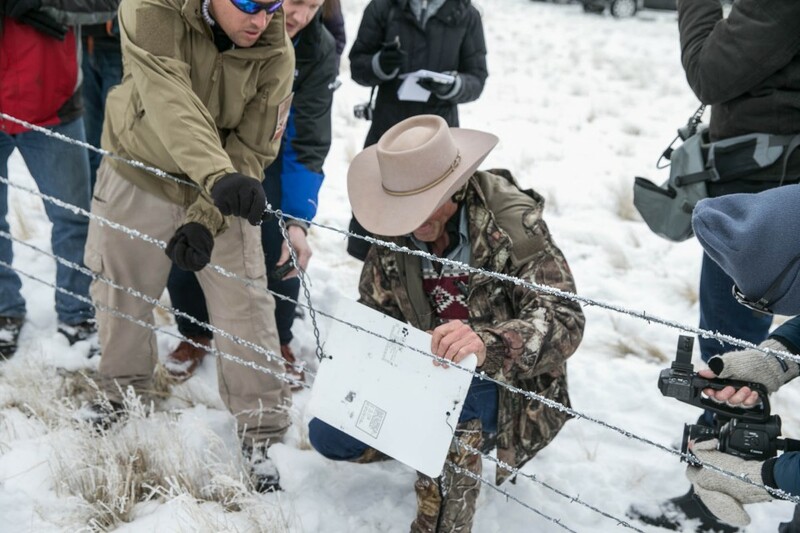 On January 11, members of the armed militia dismantled a fence along the border of the refuge and a local ranchers property in order to allow cattle to pass through unencumbered. “In the century of [the] Malheur National Wildlife Refuge’s existence, enormous effort has been displayed by partners, surrounding communities, ranchers and landowners to restore a devastated landscape,” the statement reads. “Removing fences, damaging any refuge property, or unauthorized use of equipment would be additional unlawful actions by the illegal occupiers. Any movement of cattle onto the refuge or other activities that are not specifically authorized by [the Fish and Wildlife Service] constitutes trespassing. Militants remove section of fence along border of wildlife refuge and a ranchers property on Jan 11. Image Courtesy of oregonlive.com. 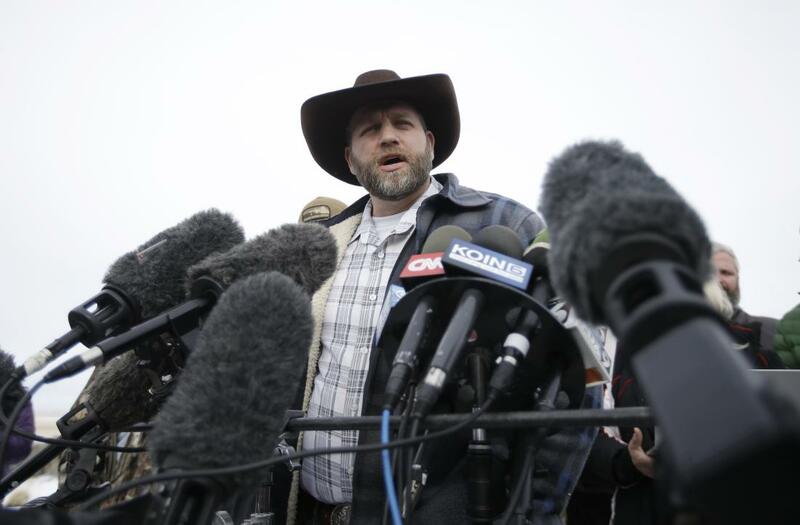 On January 12, Ammon Bundy reported that the group has found documents within the center that would allow for the release of the Hammonds and proof that the government has been discriminatory against ranchers in BLM policy. While local schools have gone back into session, and the displaced workers from the refuge have tried working from home, the situation is still rather volitile. Locals have pleaded with the militiamen to get out of town. Signs have been posted outside of homes asking the “outsiders” to leave. In interviews members of the Burns Paiute tribe have asked for their ancestoral lands to be protected from the armed militants. The occupants of the refuge have stated that they will remain in at the site until the land has been returned to its rightful owners. Which would seem to be landowners from the early 1900s, not the tribe who has lived there for centuries. “We have good relations with the refuge. They protect our cultural rights there,” said tribal council Chairwoman Charlotte Rodrique.